The Mary Kay® Liquid Foundation Brush allows you to build desired coverage, even around the curves of your face. Synthetic bristles hold the perfect amount of liquid foundation, ranging from light to creamy formulas. Angled flat top allows for direct foundation application directly to the brush. 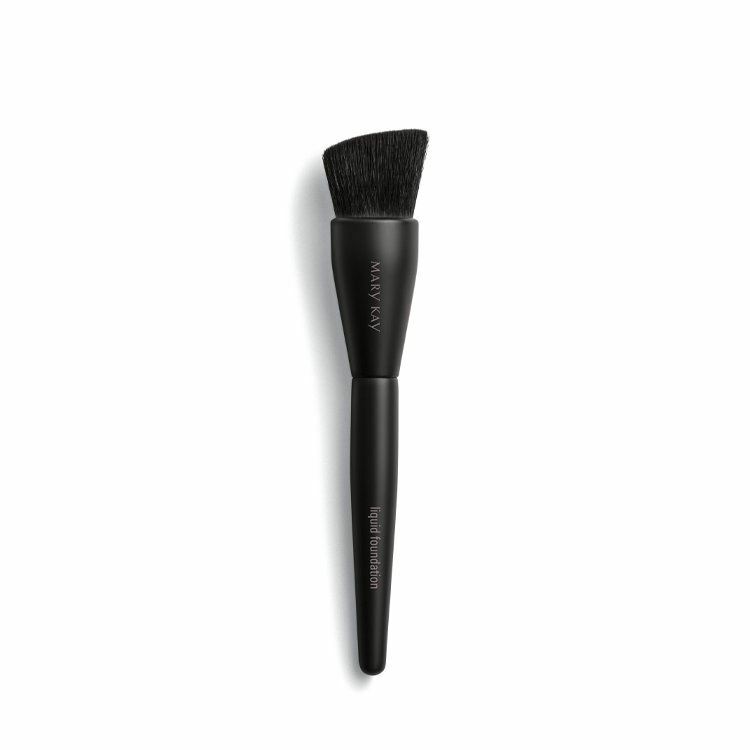 Brush shape blends foundation in hard-to-reach areas of the face. Lush, dense bristles hold just the right amount of liquid foundation, from the lightest to creamiest of formulas, and the angled flat top provides a dual benefit. It allows foundation to be applied directly to the brush instead of to the back of your hand, reducing mess. Its slight angle reaches every unique contour of the face, helping to blend easily as you build to desired coverage. Add liquid foundation directly onto the center of the brush. To stipple: Start at the center of the face and work outward, lightly tapping on foundation to build to desired coverage. To buff: Use a circular motion as you lightly blend to desired coverage.